It’s been a year since my last blog post, and as we near the start of the school year again in a few weeks (eek! ), I would like to begin to post on a more regular basis. 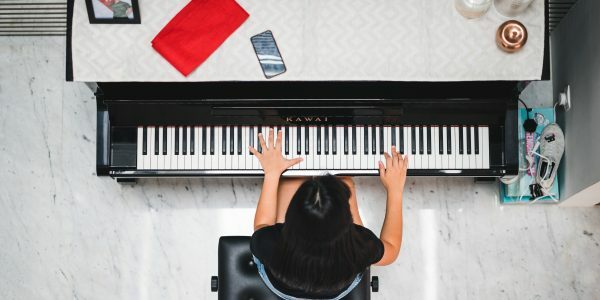 I have been busy attending workshops, masterclasses, conferences, reading other blog posts, tuning pianos, and connecting with other music teachers in the past year. And of course…Teaching! Once a month, I will be posting a spotlight on living composers. Some may be familiar, while others you may not have heard of. August’s composer is….Catherine Rollin! Catherine Rollin is an American pianist, composer, teacher and clinician. Her compositions are often pedagogical, meaning that they teach the pianist how to do something. It could be to learn a particular style of music or practice a challenging technical skill. Her pieces can be found in the 2015 RCM piano syllabus. In this piece, the beginner learns the whole tone scale, repetition, moving across the keyboard (using a wide range on the keys), pedaling, imagery, expressive playing and dynamics, and form (how the piece is structured).